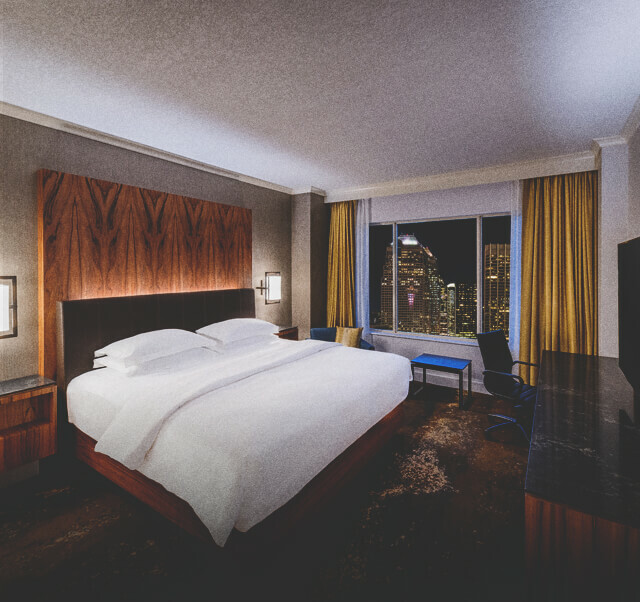 Discover the city's best at Hyatt Regency Calgary. Our elegant downtown hotel, Calgary's Premier Luxury Hotel, offers the perfect combination of world-class amenities with an ideal setting in the heart of downtown.Step through the doors of our Calgary Alberta hotel for all the attractions of the "Gateway to the Rockies" - wander Stephen Avenue Walk, filled with theatres, shopping and entertainment, take in performances at the Arts Commons, or venture to nearby Banff, only one hour away. Within our welcoming hotel, enjoy outstanding services including the renowned Stillwater Spa, the city's largest meeting spaces and the area's best restaurants. When it comes time to rest, enjoy our spacious hotel rooms and suites, fresh from a six million dollar renovation. Whether joining us for business or fun, you'll find we are the unmatched choice among hotels in Calgary. 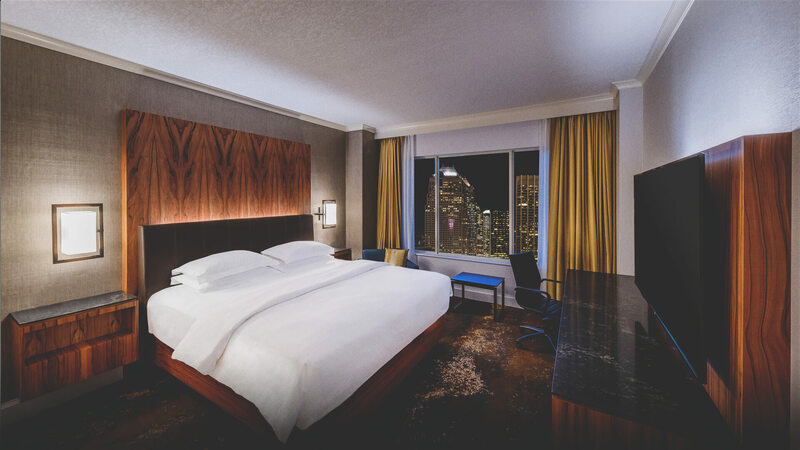 Located in the heart of Calgary‘s vibrant downtown in one of the city’s historic sandstone buildings, Hyatt Regency Calgary showcases the region’s heritage while embracing Calgary’s cosmopolitan personality. Our two on-site restaurants offer a range of classic and contemporary dishes inspired by the region and made with fresh local ingredients. Indulge in our award winning spa - one of the top 50 in Canada. Enjoy your favourite cocktail by our roaring fire in one of our comfortable leather chairs or look out onto the city‘s main shopping street. Our fitness centre, swimming pool, steam room, and hot tub are located on the 18th floor and offer stunning views of downtown Calgary day and night. When it‘s time to unwind, our 355 guest rooms offer guests luxury, premium conveniences, comfort and an exceptional stay. Whatever you need, we are here to make your stay exceptional and unforgettable. Your comfort is our priority. Whether joining us for business or fun, you'll find we are the unmatched choice among hotels in Calgary. Sitting right next to the TELUS Convention Centre, the hotel is only steps away from the historic Stephen Avenue. Visit local attractions around the area like the Glenbow museum or grab a bite at the Sky360 restaurant at the top of the Calgary Tower. Admire the Hyatt Regency’s art collection, featuring over 500 pieces of Western Canadian art celebrating Calgary’s rich history.